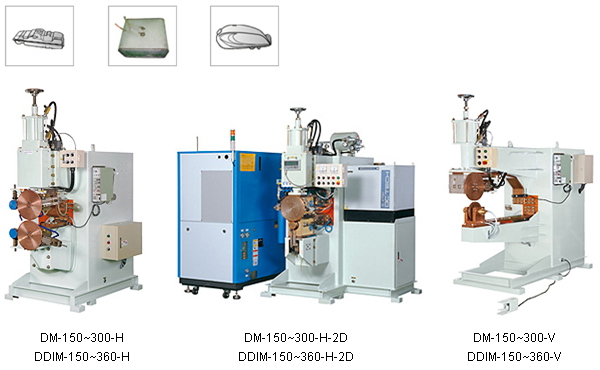 Dahching specially designed seam welding housing with efficient cooling inside the housing to reduce wear-out effect and achieve better conductivity. Optional accessory to equip with Japanese constant current welding controller for rigid and stable welding quality. Three Phase Inverter DC electrical solution is also avaliable for better welding quality and ENERGY SAVING!